For Nordwand purists. The Nordwand Advanced HS Hooded Jacket Men is the little big brother of the Nordwand Pro – distinguished by its light Gore-Tex® Pro material, it can withstand even the most adverse conditions. Thanks to the Mammut Vertical Motion ConstructionTM and Mammut High Reach TechnologyTM, the Nordwand Advanced also guarantees outstanding freedom of movement. The storm-proof, helmet-compatible hood can be easily adjusted vertically and horizontally even when wearing gloves. The waterproof external pockets are climbing harness-compatible and the High Visibility BackerTM on the inside ensures greater visibility in alpine terrain. 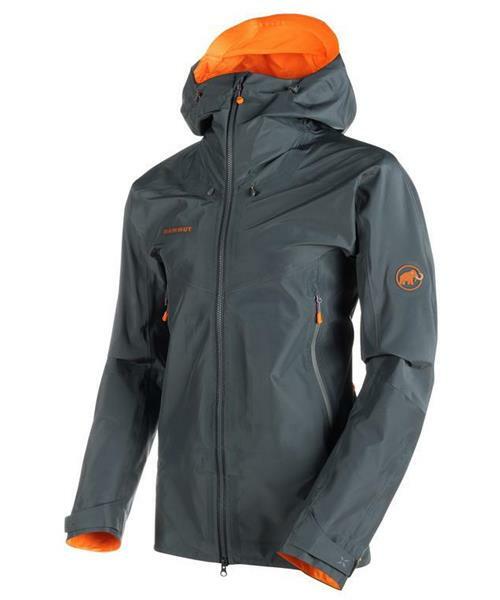 To make the Nordwand Advanced as light and uncompromising as possible, it has no large internal pockets or snow skirt. So if you want to be light and fast out in the mountains, the Nordwand Advanced HS Hooded Jacket is your perfect companion.